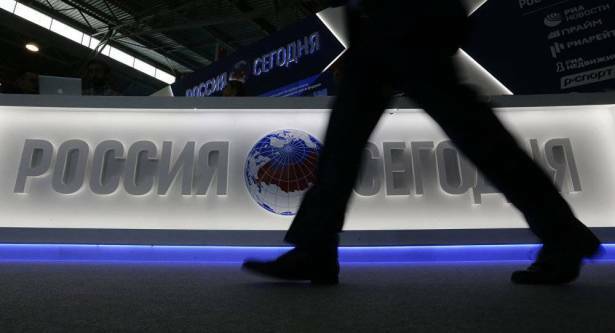 The head of the European Journalist Federation (EFJ) slammed on Friday the European Union's decision not to accredit Rossiya Segodnya International Information Agency for a top-level ministerial meeting as a "serious attack on media freedom." EFJ General Secretary Ricardo Gutierrez condemned the refusal of the Estonian Presidency of the Council of the European Union to provide Rossiya Segodnya with accreditation to cover the informal meeting of EU foreign ministers on September 7-8 in Tallinn. "This is indeed a serious attack on media freedom!" Gutierrez claimed. "The EFJ and the IFJ just decided to submit an alert on the case to the Council of Europe Platform for the Protection of Journalism. That means, in practice, that the Secretary General of the Council of Europe will ask the Estonian government to give explanations regarding the case," Gutierrez told Sputnik. Three correspondents of Rossiya Segodnya were rejected to get accreditation for the meeting without explanation of reasons. The agency has for the first time faced such restrictions in getting access to coverage of ministerial level events under the aegis of the European Union. The EFJ has issued an alert level 2 over the case. This is just another case of discrimination against Russian media outlets in recent times. Among the latest cases were a ban on the Sputnik news agency in the Baltics. In December 2016, the EU Parliament adopted a draft resolution to counteract propaganda against the bloc by third parties, which equated Russian media to Daesh news outlets. The Sputnik news agency, the RT channel, the Russkiy Mir foundation and the Russian Federal Agency for the Commonwealth of Independent States, Compatriots Living Abroad, and International Cultural Cooperation (Rossotrudnichestvo) were named as main information threats to the European Union.